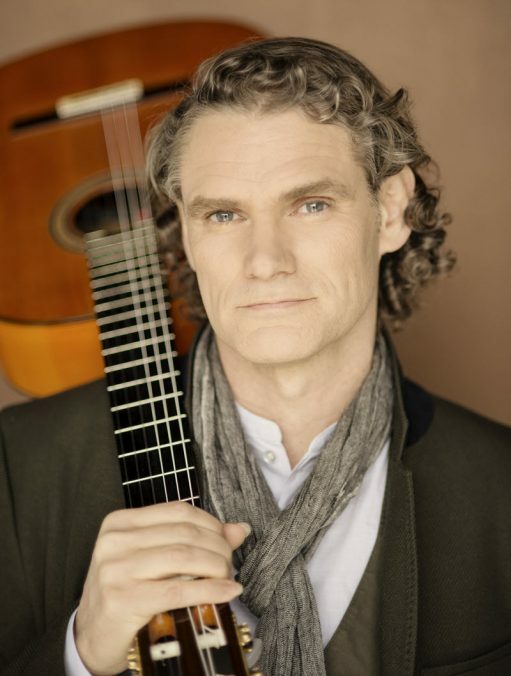 It’s been more than 20 years since guitarist virtuoso Jesse Cook hit the Canadian music scene with his refreshing world-inspired sound. But even with the benefit of an international fanbase, numerous awards, and nine studio albums, accounting for more than one million records sold worldwide, Cook – performing at Moncton’s Capitol Theatre on Thursday evening – is good-naturedly waiting for this amazing ride to come to an end. Fortunately for Cook – and for his thousands of fans in all corners of the globe – the musician hasn’t lost his shine yet. His most recent studio effort, 2015’s One World, held the number one position on Amazon’s New Age sales charts for more than 57 consecutive weeks. This phenomenon isn’t strictly relegated to One World, either. Cook’s previous two records – 2009’s The Rumba Foundation and The Blue Guitar Sessions (2012) – each debuted in the prestigious number one position on the charts upon initial release as well. “How does this happen? I’m just some guy that has been playing a nylon string guitar for the last 20 years. It’s nothing short of a miracle,” he says, incredulously. While Cook’s music has literally and figuratively taken him all across the world, One World could be seen as the culmination of those experiences. Acknowledging that the influence of guitar greats like John McLaughlin and Paco de Lucia as well as the music of the long-running Gypsy Kings was prevalent in his earlier works, Cook has long since settled into a groove that allows his unique personality to shine through the material. One World serves as a prime example that Cook has much to say yet. The record could be viewed as one of the most simplistic yet simultaneously advanced works in his celebrated catalogue, in which the guitarist relies upon technology in ways he had not necessarily employed on previous efforts. He says the move proved to be invigorating. “In employing a loop station while making this record, I was forced to simplify the whole recording process. When I make albums, I tend to over-produce and go all Phil Spector-like,” Cook laughs, referring to Spector’s famed “Wall of Sound” production technique. Citing Miles Davis’ 1959 masterpiece Kind of Blue as one of the penultimate examples of how less can be more for the listener, Cook insists that Davis bucked the notion of playing jazz merely to dazzle others with his abilities. “A lot of jazz is calculated to impress others by flaunting capabilities, but if you look at Kind of Blue or ‘Round About Midnight, the music was just so simple and so beautiful. People that show no interest in jazz as a genre appreciate those albums because of that simplicity. To me, that connecting with people’s emotions is the true mark of greatness. People love to kick around the idea that Kanye West is a genius, but I’m not so sure about that,” Cook laughs again. Cook’s broaching of West as subject matter is particularly compelling, and not just because he and the infamous rapper have so little in common. Career longevity is a matter of pride – and fact – for Cook, where a significant amount of today’s artists will be fortunate to be remembered for their music over the next decade. When: Thursday June 9, 8 p.m.